5 bedroom family home for sale in Hunters Home with forest views." Just 10 minutes from the centre of town, this large family home overlooks the beautiful scenic view of the forest in Hunters Home. This home has loads of character, some split levels with a sunken dining room which opens out onto a courtyard. A sunny, warm home boasting five bedrooms, three bathrooms, two en-suite, loads of built in cupboards, a study, outside laundry and enclosed braai area. Each bedroom has its own sliding door opening into the 2233sqm garden where kids and pets can play freely. Some imagination and TLC will turn this 300sqm house into a masterpiece. 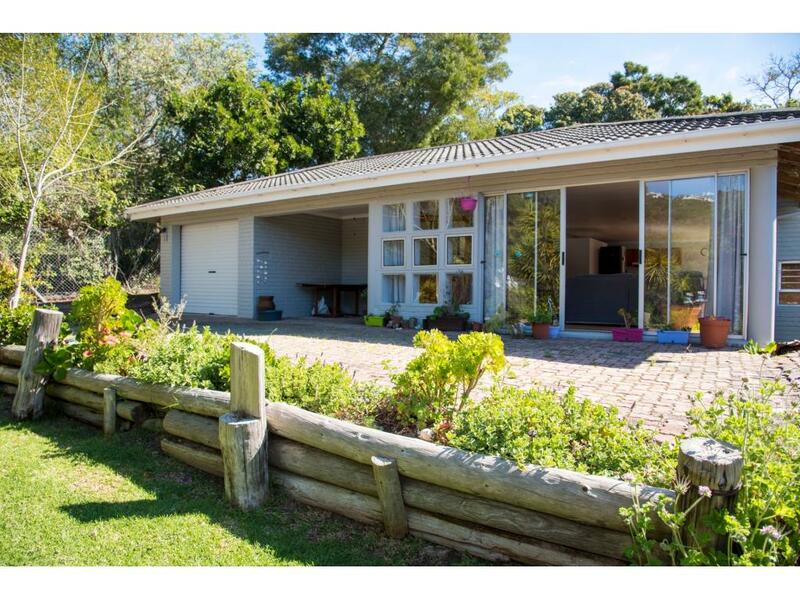 5 bedroom family home for sale in Hunters Home with forest views.